Ping Kwan wrote a poem in 1984 called ‘Leafing through Wingo and Holly's Photo Albums’, a poem that recorded, in intimate detail, the life of a group of friends that we were all a part of back in those days. It was a time when we often gathered, either at Ping Kwan’s home in Causeway Bay, or at my place in North Point. The poem was first published in the April 1986 issue of Qiu Ying Poetry Journal, in a special edition on Ping Kwan’s poetry. It included seven poems, each illustrated by an artist. This was typical of the poetry-art exhibitions that Ping Kwan’s circle of friends was involved in during the early 1970s. My experience of Qiu Ying Poetry Journal also had an impact on Dislocation, a photography magazine that I edited in the 1990s. That one particular poem was later collected in Poetry of Moving Signs (Oxford 1995). Ping Kwan later made revisions to the poem, and made clear indication of the dates – “first draft September 1984, revised 1993”. The poem flowed better after the revisions, with more social commentary. But deep down, I loved the original version more. I met Ping Kwan in around 1975. Holly had known him longer. He was part of her circle of friends that also included Donna, Siu Hark, Sik Yin, and Betty. After I met Holly, it was only natural that I also got to know Ping Kwan. When Ping Kwan wrote that poem about us, we already had a two-year-old daughter, Iris, and when Ping Kwan and Donna had their Journey exhibition, in 1985, Ping Kwan’s daughter, Anwen, was born. Iris and Anwen were close in age and became good friends. Apart from the larger gatherings with the group, our two families often got together on Sundays – swimming at a pool in Wanchai, or breakfasting at the Foreign Correspondents’ Club. I should say, my collaboration with Ping Kwan was founded on friendship. Of course, mutual influence and encouragement throughout our artistic development also nurtured our friendship. I designed and photographed for the cover for Ping Kwan’s book of essays, Books and Cities, in 1985, atime when I was sensing that I needed to develop a different direction in my work. The cover image was simple, perhaps naïve, featuring a walking stick borrowed from Ping Kwan himself and a rock that I brought back from a small island on one of our outings. The rock was later placed at the entrance of our studio in Prince’s Terrace (which was later converted into a gallery). When the gallery closed down, years later, after I left Hong Kong, Tsang Tak Ping took the rock and kept it, saying it was a witness. If the rock still exists today, it will have taken on another meaning now. One of melancholy, no doubt. In 1988, I designed a cover for another one of Ping Kwan’s books, Three Fish. In his postscript, Ping Kwan mentioned that I once gave him three stones. The cover design was ornate and layered. I had just finished a photo shoot for a publication by the Hong Kong Trade Development Council, and the cover of Three Fish continued in that vein and went one step further. It was the beginning of my installation period, as it becomes evident if one looks at my work from that perspective. Back then, Ping Kwan also published poems in various fashionable magazines, and I was often commissioned to create images to go with the poems, such as ’Papaya’and “ ‘Pair of Pears’. Those images later became identified as my early style. One could say that, in those days, my development in photography paralleled Ping Kwan’s path in poetry. In 1990, the Hong Kong Public Libraries invited Ping Kwan and me to put together a poetry-photography exhibition. The invitation probably came out of recognition of Ping Kwan’s earlier experiments with poetry-art exhibitions and that special edition of Qiu Ying Poetry Magazine. The Library exhibition later travelled to the Jockey Club Ti-I College in Sha Tin, where Terence Chang was principal. It proves that many things germinate, take shape, and grow from the conversations between friends. For the Library exhibition, I was expected to speak about my art, and giving talks was my weakest point. I prepared and read from notes, but my speech still sounded disjointed and was full of broken sentences. It was fortunate that Ping Kwan was there to help me along. Later in my professional life, I have had to occasionally get up to the front and speak in public, and my speaking skills have gradually improved over the years. Whenever I had to speak in public at our joint exhibitions, in Vancouver, or Singapore, Ping Kwan always covered for me or helped me along. He knew my weakness well. In 1992, Hong Kong University Press published a bilingual edition of Ping Kwan’s poetry – City at the End of Time. I made a photograph and designed the book cover. It was a photograph that I loved, which I later included in my solo exhibition at Hong Kong Arts Centre in 1993, Thirty-one Photographs. In 1996, Tokyo Metropolitan Museum of Photography also exhibited this image, along with three others of mine, which the museum acquired as part of their permanent collection. Whenever we had occasion to publish this photograph, I preferred to title it by translating the English title of the book– City at the End of Time - back into Chinese. But Ping Kwan always corrected it by reverting back to the Chinese name of the book, which literally means “Images of Hong Kong” in English. I later realized that these subtle differences reflected our different feelings – on the spectrum from pessimism to optimism – toward the future of Hong Kong. The political climate in Hong Kong around 1997 brought new stimuli for the city’s artists and creative minds, providing food for individual thought and opportunities for exhibitions and other forms of collaboration. What could be achieved in this climate depended on whether the artist stood on firm ground, yet without becoming dogmatic. It was about how to go forward, but by stepping sideways. My collaboration with Ping Kwan on the project Foodscape was borne out of this cultural environment. We were invited to do an exhibition at the Hong Kong Cultural Festival in Vancouver. Ping Kwan thought the term ‘culture’ was too big and suggested that we look at culture from the perspectives of food and travel. He asked me to come up with a title for the exhibition, and I suggested Shishi diyu zhi, which Martha Cheung translated into English as ‘Foodscape’. Martha Cheung also translated all of Ping Kwan’s poems for that exhibition. Now Ping Kwan and Martha have both left us, within a short few months, so Foodscape has become a particularly sad reminder of our loss. Besides poetry, Foodscape also inspired Ping Kwan to write essays and stories about food. Our collaboration was exhibited in different locations in various forms, including a more comprehensive one at Hong Kong Heritage Museum in 2004, as well as a few aborted attempts due to various reasons, such as the one intended for Macao. During the last 20 years, Ping Kwan reached a new height as a poet. He became a master of his form – no matter the subject or kind of material, he could always absorb it in his own language and turn it to poetry. In those 20 years he went from city to city, traversing between West and East, but I also saw him becoming weary, exhausted. One day when we were chatting at my place, he fell asleep mid-conversation, and the following morning, he was to be on the road again, to the Frankfurt Book Fair. Always hurried, such comings and goings. We admired his achievements and were proud of him, but it was sad to see him endlessly going from place to place. Ping Kwan wrote another poem for us in 2006 – ‘50 Gladstone Avenue’ –named after our address in Toronto. Earlier in the year, we had purchased a run-down, three-storey building to be fixed up as a gallery and living/work space. The original plan was to finish renovating the building by April and hold an opening exhibition then. We invited Ping Kwan to come along to the opening, and he agreed. When he arrived in Toronto, the building was still under renovation, as he mentioned in the poem… So the poem was written to record those circumstances, but it is also about our past, present and future, and friendship – Our hearts are witness to each other’s milestones. The poem was collected in his 2006 book, The Politics of Vegetables. The two poems – ‘Leafing through Wingo and Holly's Photo Albums’ and ’50 Gladstone Avenue’ – cover 30 years of our life, from young tender beginnings to perpetual searching – Old rooms torn down for new configurations. We had lived in Toronto for nearly a decade when we started at 50 Gladstone – The past/dismantled, laid out on the floor/Power-cutters cut old threads to make new links. By 2009, we finally found ourselves on firmer footing and were able to devote more time to reading and creative work. I started a new photo-based project – Mobile Poetry Lab. In 2012, I made a piece, entitled ‘Holly descending the stairs, from the third floor to the ground floor gallery. She was getting ready to go to Trinity Bellwoods Park to take a photograph’. It was my reply to Ping Kwan’s ‘50 Gladstone Avenue’. I wanted to say to him, the gallery has finally become our playground. We can create and play our magic the way we like now. This image originated from an exhibition Anothermountainman curated for Fuji Cameras, on portraits and self-portraits. When the exhibition opened in May 2012 at Hong Kong Arts Centre, Ping Kwan came along. I took a snap shot of him, and little did I know that this would be my last photograph of him. The photograph shows Lau Kin Wai taking a close-up shot of Ping Kwan from the left with his camera, while Ping Kwan was looking at a piece by Holly Lee – a self-portrait in the form of a flipbook. The flipbook contains over a hundred consecutive frames of Holly reading a poem, a poem Ping Kwan wrote about our travels in Eastern Europe. I kept this photograph on my web journal. It seems like a multi-faceted sphere reflecting so many layers of friendship, condensed into one moment. In 2001, when I visited Hong Kong, Ping Kwan introduced me to the French editor, Annie Curien. She was editing a special issue on Chinese contemporary poetry for Poesie magazine, and she wanted to use some of the images from Foodscape. She also asked me to make some images for the other poets featured in that issue. The issue was published in June 2001. When the editors learned that I also wrote poetry in my earlier years, they decided to include a photo of mine, entitled ’Four Stanzas of a Poem’, as well as a poem I wrote in 1976, ‘Chronicles’ (translated into French), in that special issue. This collaboration eventually led to an exhibition in France in 2006, entitled De ci de là des choses. The Chinese phrase ‘dong xi’ refers to ’east’ and ’west’, but also means ’things’. This double entendre inspired Annie Curien to curate an exhibition featuring Ping Kwan’s poetry and my photography. Ping Kwan selected poems on three themes - one on Things, one on East/West, and a suite of poems, Lotus Leaves. I created 18 images. Unlike our previous collaborations where I selected pre-existing work to go with Ping Kwan’s poems, this time I created a series of titles in response to Ping Kwan’s work, and then made new images based on those titles. The organizers of the exhibition wanted to make a publication as well, and I thought we could create a limited-edition book similar to the one I later did for our 2004 exhibition at Hong Kong Heritage Museum. Unfortunately, the proposal took a long time to get approved, and by the time it had gone through the process, I was already too deep into building renovations and could not afford the time to do it. Eventually, the exhibitors published a simple catalogue containing the Chinese and French translations of the poems and all the photographs. It was nevertheless a very good record of that collaboration. De ci de là des chose later travelled to the south of France, and I was invited to visit. Again, I had to decline because of the enormous amount of work for me to do at our new gallery. Ping Kwan went for a writer’s residency at the Saorge Monastery in southern France, where he wrote his ‘Exercises in the Book of Songs’, which was later collected in Chinese Poems from Provence (Oxford 2012). Had the timing been a bit later, with the luxury to slow down, I would certainly have joined Ping Kwan on that trip to spend more time with him. After I moved to Toronto, our meetings were always short and rushed. We missed the more carefree days of the 1980s. My collaboration with Ping Kwan also took other forms, such as the Cultural Perspectives book series published by Youth Literary Bookstore. Lo Chi Wa was the publisher, but Ping Kwan was the creative mind behind the series that would become well-known. The project was supported by Hong Kong Arts Development Council, which requires a formal publishing company to oversee the funding application and the publication process: Lo Chi Wa played this role. The book project happened around the time of my emigration to Toronto: Ping Kwan asked me to design the book covers for the series. I wanted something visually strong and instantly recognizable, so I came up with a design that consisted entirely of collages of linear images, similar to my style in Foodscape. Several years later, in 2008, Lo Chi Wa passed away suddenly and I was very saddened – he was a good friend of mine.The various writing circulating online after his death created a kind of myth. After Ping Kwan joined Lingnan University, he became the chief editor of the Journal of Modern Literature in Chinese. Finding the original design of the journal out-of-date, he asked me to revamp it and give it a fresher look. For a text-driven academic journal with its editors based in Hong Kong, it would have been logistically difficult for me to design and create a finished product from Toronto. So I simply created a template by redesigning the cover, page layout and fonts, and the production team in Hong Kong would take the template and fill in the content. When I visited Hong Kong in 2007, Ping Kwan again mentioned the journal and encouraged me to get more involved in it. It was then that I started supplying images for the cover and article headings. During Ping Kwan’s Lingnan days, I also designed some book covers for Lingnan University Press. Our text-image collaborations over the years took varied forms; most was magazine design work. I would normally use pre-existing photographs from my image bank as design elements for the projects and collaborations. Some of the images became a significant part of my portfolios. These creative opportunities germinated from friendship, through laughter and long rambling conversations over wine, shook me out of inertia, and stimulated my desire to make images; the sumptuous quality of Ping Kwan’ writing nourished me and opened up new imaginative worlds. Ping Kwan wrote poetry. I made photographs. Perhaps the key to our deep and long lasting collaboration is our mutual understanding of each other’s medium. Without this understanding, we would not have been able to access each other’s worlds and our collaboration would have been superficial and limited. Among the Hong Kong writers of Ping Kwan’s generation, he was probably one of the very few who truly understood contemporary photography. These days, of course, more of the writers are better at that, but in the 1980s it was rare. It would not be an exaggeration to say that Ping Kwan had a better understanding of photography than many Hong Kong photographers. By understanding I do not mean knowing how to operate a camera or how to take a good photograph. Ping-kwan had also collaborated with many other Hong Kong photographers, including Leung Ka Tai, Alfred Ko, Anothermountainman, Wong Wobik, Holly Lee, and Kwan Pun Leung, and there might have been a few younger photographers that I have missed, for I have lived away from Hong Kong for so long. Ping Kwan’s relationship with Hong Kong photography would make an interesting research topic, one that could offer a different view of the history of Hong Kong photography. Ping Kwan also wrote many poems about photography. Photographic images entered his language and also enriched his world. In 1991, I had an exhibition at Hong Kong Arts Centre entitled Thirty-one Photographs. 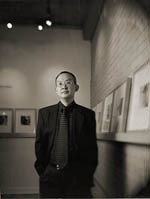 Later, Yau Leung published a book entitled Lee Ka-sing’s Photography, which included all 31 images from that exhibition. Ping Kwan wrote a long introduction, published in Chinese and English, which gave a very good summary of my photographic work during that period, with many insights on my work with Holly, especially on our professional photography. 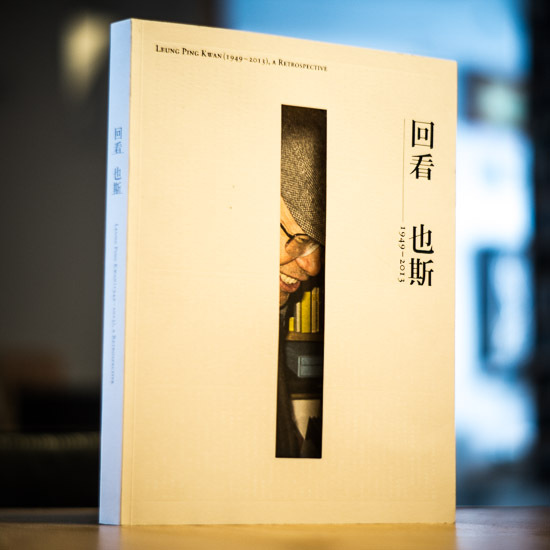 In 2012, Zhejiang University Press published Ping-kwan’s Ten Lectures on Hong Kong Culture, in which Chapter 6 was entitled ’Hong Kong cultural identity between highbrow and lowbrow culture – popular culture and art from the perspectives of photography’. This chapter is an expanded version of Ping Kwan’s introduction to my photography book, with some updates and a new section on the work of Holly Lee. More recently, a publisher in Hong Kong was planning a book series on Hong Kong photographers, with introductions penned by different writers. Naturally, Ping Kwan was the one approached by the publisher to write an introduction for the book that features my work; it is commonly believed that no other person in Hong Kong knows my work better. At the time, Ping Kwan had already fallen ill, and the publisher did not want to give him pressure. It was agreed that Ping Kwan would write a poem in lieu of an introduction. In the past two years, whenever I returned to Hong Kong, I always showed him my latest work and we would have long discussions. He was particularly interested in ‘Z Fiction’, a recent work of mine that explores narrative fiction through images. Another project of mine that Ping Kwan showed interest in was a series of images that explores the idea of the Orient by using traditional Chinese paintings as photographic subjects. Ping Kwan said that he had also written poetry on Chinese paintings, and he was interested in a new collaboration. One month before he passed away, Ping Kwan was still asking me for a link to my latest work. It is a pity that he he was not able to write the poem for that book of my photography. In my 1998 book Forty Poems, I have a photograph entitled ‘An Unsent Letter to PK, About Locations’. The image was taken in 1995. It shows an envelope with a map of the mountains, on top of which I added some vertical and horizontal lines, which I took from another map. It was related to the circumstances of Ping Kwan’s emigration to Canada with his family at around that time, and his subsequent return to Hong Kong by himself. The image was a reflection of this, instead of a narrative. My family had its own story of migration. Since the 1980s, Holly and I had devoted ourselves to our busy careers in photography and we had little time for our daughter, Iris. When Iris decided to go to university in Canada, we realized that it was important to make up for lost time by accompanying her abroad. In 1997, we made a quick decision, and in September we were in Toronto, in time for the start of university for Iris. Ping Kwan, of course, had long reflected on his move. Every entry point created a different direction. To change wind’s direction is hard, in any place – he expressed his concern for us in the poem. He also wrote about our life in our adopted country in a piece called ’I Love Fruit’, in The Flavours of the Floating World, a book published in 2011. For the Hong Kong Foodscape exhibition at Hong Kong Heritage Museum in 2004, I created a 288-page book with a neon pink cover, The Language of Fruits and Vegetables. Five hundred copies of the book were placed at the entrance of the gallery. The visitors were to pick up a copy as they entered the exhibition and return it when they left. I used Ping Kwan’s poem ’Green Salad’, from the series, ‘The Language of Fruits and Vegetables’ (Selected Poems of Leung Ping Kwan, Hong Kong Writers Press, 1995, p. 209). The original poem, written in 1988, consists of four stanzas, eight lines per stanza, and ten characters per line. In a subsequently revised version, Ping Kwan broke up the lines by adding three blank spaces into each line, thus creating 13-character-space lines with irregularly broken up phrases (Dongxi, Selected Poems of Leung Ping Kwan, China Theatre Press, 2012, p. 005). My work was based on this revised version. Treating the broken up phrases as separate units, I rendered the poem as a sequence of 128 phrases and created a parallel sequence of 252 black-and-white images in dimensions of 5.5 x 5.5 inches. The poetic phrases appear at the left-top corner of each left-hand page, with a few image-only pages to create a sense of rhythm. This close-up reading of each phrase creates the effect that, while still following the sequence of Ping Kwan’s poem, the reading speed is drastically altered and slowed down. In this visual and spatial presentation, it takes about 20 minutes to read the poem. In 2003, Sabrina Fung curated an exhibition for the City University of Hong Kong, entitled Two or Three Things about Hong Kong. Anothermountainman, Ping Kwan and I were invited to participate, and we were asked to provide recent work only. , I had already left Hong Kong for years by that time, and I could not have taken any new photos of Hong Kong. So I came up with the idea of making a selection of my photos of Hong Kong from the last 20 or so years and re-photographing them. Then I used the re-photographed images to make a video projection in the form of an electronic flipbook. The Language of Fruits and Vegetables consisted of these re-photographed images I made for the City University exhibition, with many new additions. These images are a mixed-up record of our life from different times – excursions with Ping Kwan, Lee Kwok Wai and other friends in the early days, sake drinking with photographers and curators at a Yokohama exhibition, old shop signs in Western District, work photos, and the opening of a gallery converted from a studio. The Language of Fruits and Vegetables was our most comprehensive collaboration, and also my favourite. The poem was probably not Ping Kwan’s favourite, and my photos were nothing more than a batch of rearranged snapshots, but together they create a special power. The quick pulse and colourful tone of the poem run through the images like a voice-over. The visual and the verbal echo each other in a kind of nonchalant chase, concrete imagery extended on abstract thoughts. Most of the images that I created in collaboration with Ping Kwan can stand on their own as works of art. But this piece is an exception. The images are best read along the words, or even better, read aloud with them. At the opening of the Hong Kong Heritage Museum exhibition, Ping Kwan and I stood at the gallery entrance, slowly leafing through the neon pink book. He understood me, he said. In The Flavours of the Floating World, he wrote that this book resembled a “Hong Kong retrospective”. To me, it wasn’t a retrospective. The random, non-chronological sequence suggests more of a Hong Kong lyricism. A lyricism touched by melancholy. Was it evoked by words, or was it brought on as colourful words meet black-and-white imagery? This article was written at the invitation of Betty for an exhibition in January 2014 to mark the anniversary of Ping Kwan’s passing. She wanted me to talk about our friendship and collaboration over the years. I was also asked to create two new pieces in response to two of Ping Kwan’s poems – ’Broken Home’ and ‘Refurnishing‘ I use the Mobile Poetry format that I have adopted in recent years – a horizontal line of images, divided into two parts, entitled: ’On the way home. Looking out from a window seat on the airplane (rereading two poems that Ping Kwan wrote 25 years ago – “Broken Home’’ and ‘’Refurnishing’’)’. After 25 years, these two poems continue to reveal new meanings. I have left Hong Kong for quite a long time now. The view outside the window seems both close and faraway. Now and then I feel turbulence. The images I have chosen for this piece are ones I initially created in Hong Kong as a discourse on the city – some have become prophecy, some new interpretation. I recall Ping Kwan’s optimism in his writing on Hong Kong. In the last frame, , I retain a shot of golden light projecting from a power screen, its light reaching outside the window, merging with the sunlight in the distance, behind the woods.